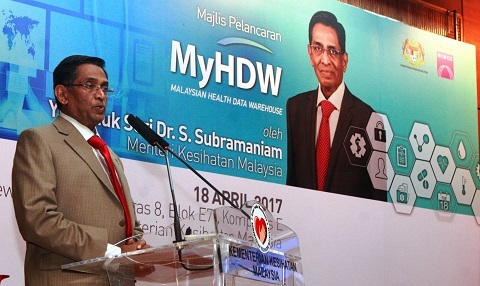 On 18 Apr, the Ministry of Health (MoH) launched the Malaysian Health Data Warehouse (MyHDW), a significant step towards managing healthcare data at national level. Developed by MIMOS, the centralised health database system is expected to transform the national healthcare landscape by improving decision-making, among other ways, through data analytics. 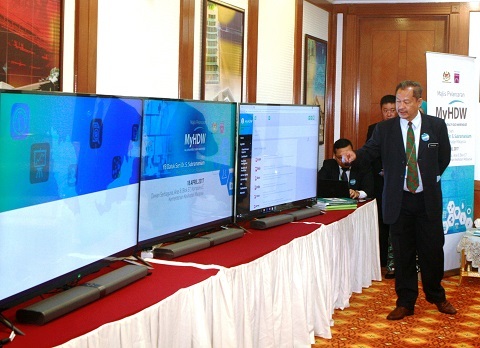 A most noteworthy point at the launch ceremony was that the patented MIMOS technologies integrated in the system had significantly reduced the reliance on foreign expertise. MyHDW’s security and privacy are governed by the Data and Information Governance Committee, while a two-factor authentication and data de-identification are employed for added security. The system features feature-rich dashboards with interactive information for quick analysis. MIMOS Mi-Harmony, an intelligent harmonisation tool, manages unstructured textual data for accurate query results; while a Geographic Information System (GIS) captures, stores, analyses and manages spatially-referenced data. The implementation of this system prepares MoH for Big Data Analytics towards gaining more actionable insights and making more informed decisions in the ministry’s national healthcare planning.